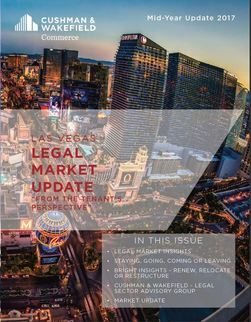 This post originally appeared on Vegas CRE Team | Commercial Connection Blog and is republished with permission. Find out how to syndicate your content with theBrokerList. The team of Dan Palmeri and Natalie Wainwright is part of Cushman & Wakefield Commerce, specializing in exclusively representing tenants/businesses. They provide advice and representation for new or renewed leases, relocation, consolidation of multiple locations, consideration of expansion of space, negotiation of a blend-and-extend lease, and for the purchase of a new building or construction of a build-to-suit.